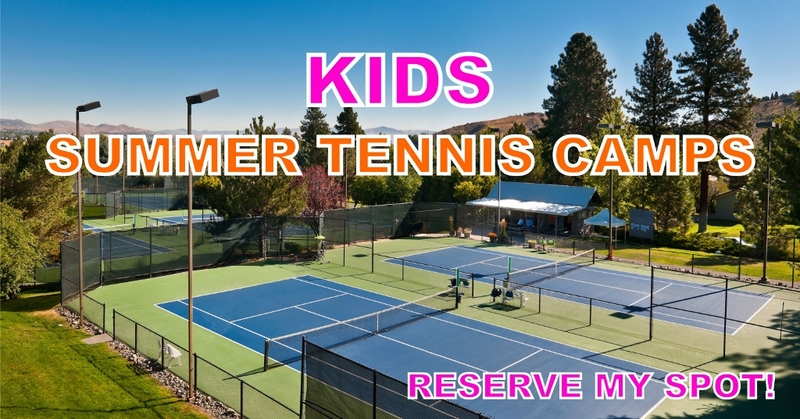 Summer Tennis Camp & Lessons for Kids - Reno, NV - Beginners Welcome! Youth Tennis Camps are coming to Reno, Nevada this summer! Join us at Caughlin Club and enjoy the most dramatic landscapes as the backdrop for your summer tennis camp! We will be offering eight weeks of junior tennis camp for players, ages 3-17, of all skill levels. The junior tennis camp at Caughlin Club offers the ultimate combination of athletics and fun! This junior tennis camp is for young athletes to come improve their tennis game, work hard, make new friends and have a lot of fun. Youth tennis camps focus on having fun while developing athletes! Kids are able to learn quickly and have fun through the use of smaller courts, properly fitted racquets, and specialized tennis balls.